Home » » Polanski arrest puts THE GHOST on hold. Polanski arrest puts THE GHOST on hold. When news of Roman Polanski’s arrest broke, the first thing that came to mind was: How will this affect THE GHOST? Sorry kids, I am totally ambivalent regarding this issue, Jon and I talked about it last night and I don’t think either of us really cares one way or the other about it. 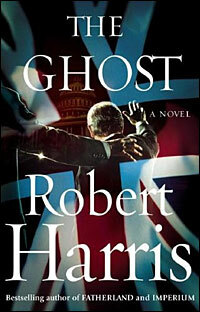 But, Polanski was in the process of editing his film version of Robert Harris’ THE GHOST. Because filming is complete, the project almost certainly won’t die, but I figured this would seriously screw things up. Sure enough, THR is reporting that the project is on now on hold. Until Roman’s current legal situation is cleared up, no work will be done. In addition to editing, sound mixing and scoring is still needed. The article states that the film needs several more months worth of work. In addition to Bronson, McGregor and Williams, GHOST has Timothy Hutton, Wilkinson, Kim Katrall and James Belushi.